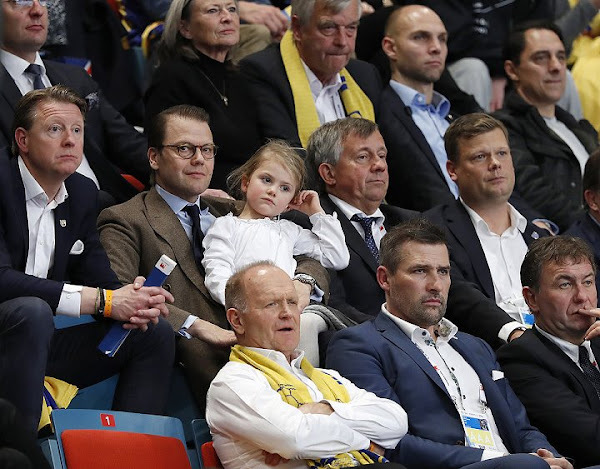 On December 4, 2016, Princess Estelle of Sweden and her father Prince Daniel attend the opening ceremony of European Women's Handball Championships EHF EURO 2016 at Stockholm Globe Arena. 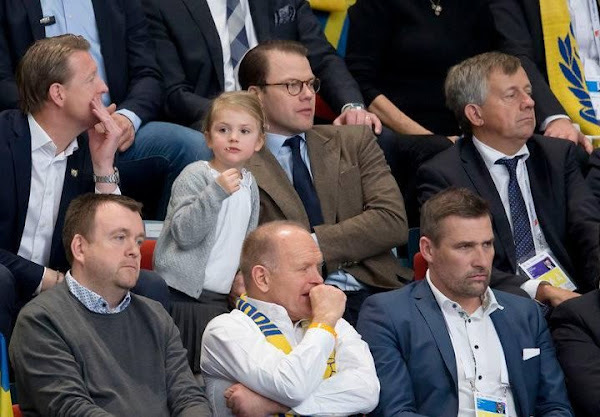 Daniel and Estelle watched opening match played between Sweden and Spain. 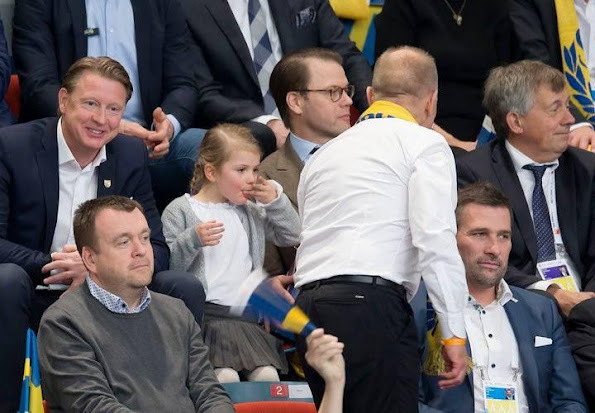 Sweden won the match by 25-19. Prince Daniel of Sweden is the official patron of the Women's EHF EURO 2016. 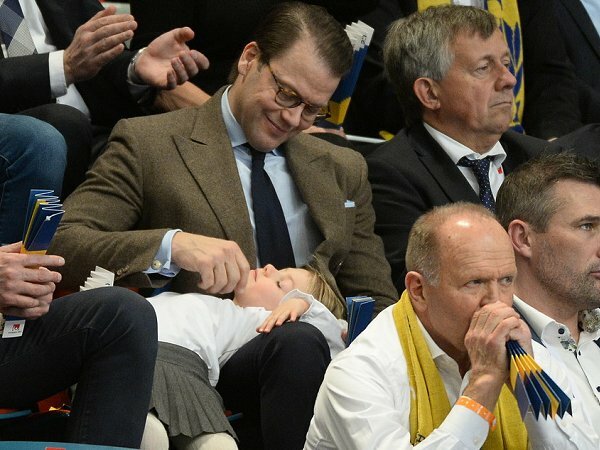 Armes Kind, sie wird immer mitgeschleppt, ob sie will oder nicht! du gehst also mit deinem Kind ausschließlich da hin, wo es hin will und gehst somit selber nirgends anders hin? Oder lässt es ununterbrochen bei Babysittern zu Hause wenn du wo anders hin willst als dein Kind? ?? Auf mich wirkt sie glücklich und zufrieden an der Hand ihres Vaters. Die meisten kleinen Mädchen geniessen es, mit ihrem Dad was alleine zu unternehmen. 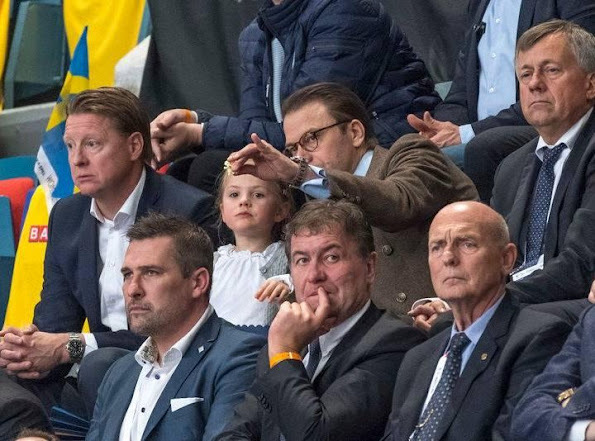 TLL; Armes Kind? Wirklich??? Ich sehe ein Kind, das ihre Zeit mit Vater genießt. Wenig müde, wenn es Abend ist. Ich denke, Daniel geht es sehr gut mit Estelle. There's always Google Translate, Diane. Here's part of it, from German to English, a very literal translation: "So in your skin I do not want to be stuck"
TLL said: poor girl, she gets forced to go somewhere all the time, no matter if she likes or not. So you only go with your kid to places where the kid wants to go? and nowhere else? or let ist all the time with babysitters at home, if you like to go somewhere, where your kid doesn't want to go to? TLL thinks Estelle is forced to go to all kinds of boring events regardless if she wants to or not. The others disagree ... Estelle looks happy in the company of her father and Anna also ask TLL if she only takes her kids where the kids want to go and otherwise leave them at Holme with a nanny. You made me laugh. I thought the same as you Diane. 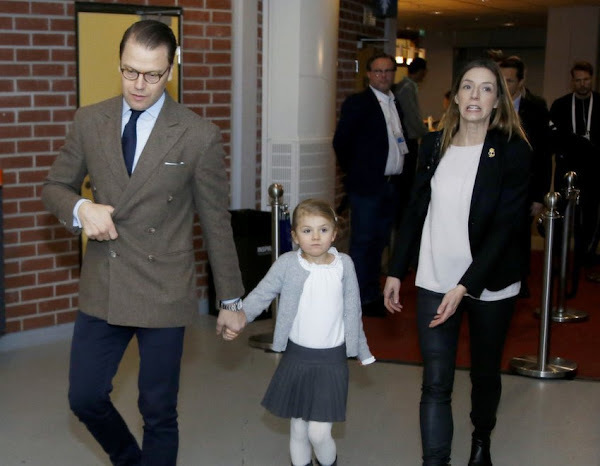 Poor child, she is always dragged along, whether she wants to or not! Diane, one of the ladies says she feels sorry for Estelle because the poor child has to go wherever her parents go, wether she wants to or not. Other ladies disagree. Oh I see there already has been a lot of translation work. Thank you, ladies! I find Google translations to miss the accurate wording. I used it once to say something in Spanish down in Mexico. I speak Spanglish not Castillian. I ended telling the person their Mother was a whore. Which was NOT at all what I was saying. It was not pleasant and could have got me killed. So Google translate is not a friend of mine. Well, this is adorable. I wonder what if any sports Estelle plays. Her parents are very active so I'd think she participates in some even at her young age. didn't she have one or more ballet-lessons some month ago? At least she is riding her pony once a week and having ballet lessons. She is a very cute little girl and will be a very pretty young lady! Estelle doesn't seem too interested on what's going on. Who's that woman with Daniel? DSC; she is not Anna Westling Söderstöm but Louise Gottlieb, Madeline´s best friend. 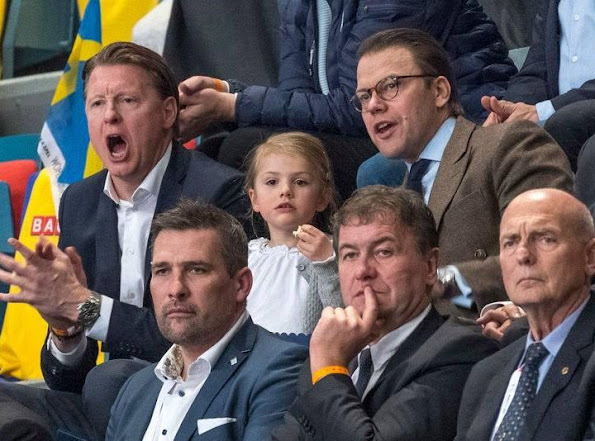 Usually small kids can't last long at a sporting event. I assume they didn't stay very long!